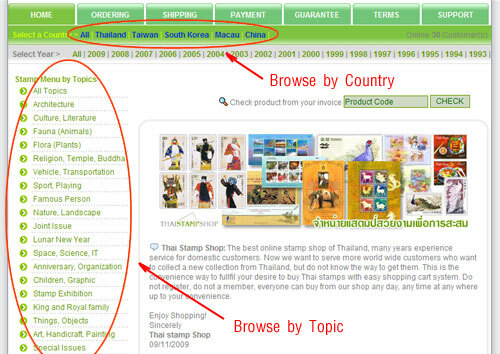 ﻿﻿	How to order products on Thai Stamp Shop? 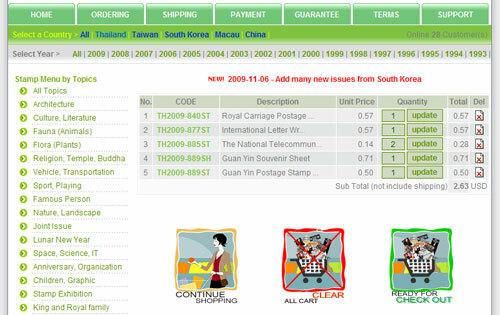 HOME >> How to place an order by using shopping cart system? 1. 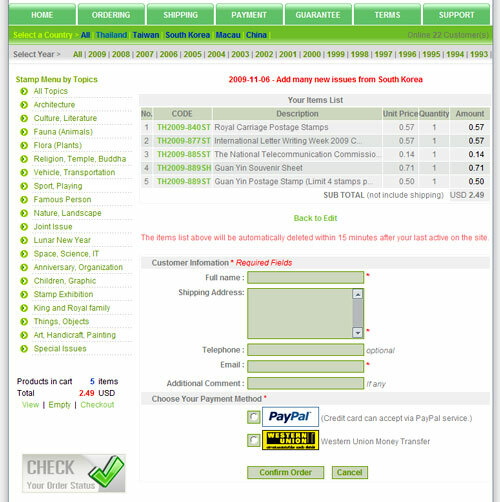 Find Items: Browse the category to find the items you want by Country or Topic Category. 2. Add Items: When you found the item you want, click the button then your cart will be show result at the left side as the picture. You can find and add your items more and mores until they are reach your desire. You can edit quantity of each items by change the number of any items you want and then click update. If you want to remove any items, simply click the button at the last column of its row. 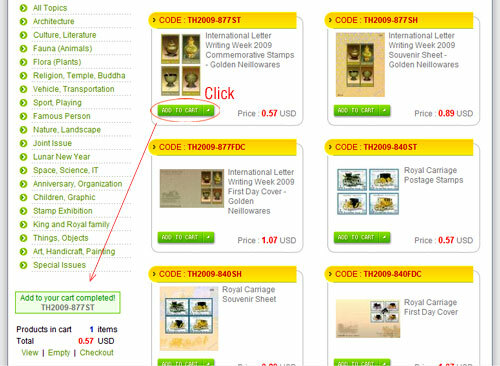 After you have finished and ready to check out, just click the CHECK OUT image to do next step. 4. 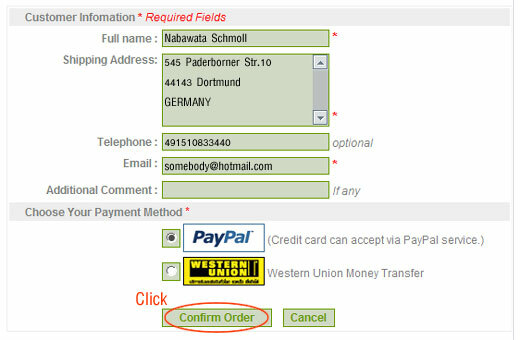 Check Out: Verify and complete the Customer's Information form. 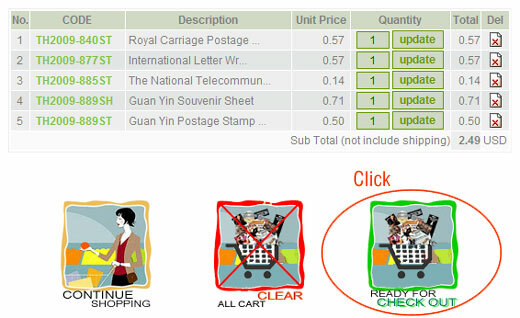 Check and verify your cart, if you found any mistaken, please click the link "Back to Edit"
But, if your cart is okay, just complete the Customer Information and choose your payment method then click on the "Confirm Order" button. 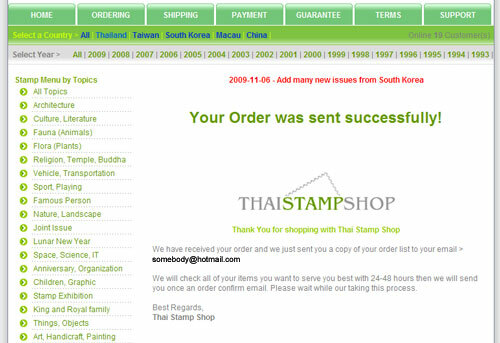 After that, your order will be sent to us and you will be received it as a copy via your email too. Finished Steps of an Ordering.